Women are the main screamers. That’s what this very scientific research by IllicitEncounters.com, a UK dating website for married people, claims. Of a poll of 1,000 people, 88% of women admitted that they were louder than their partners during love-making, while 64% of men polled also confirmed that their female lovers drowned them out when they were getting intimate. Perhaps more importantly, however, most people like a bit of noise in the bedroom. Specifically, 71% of men and 62% of women. It’s always a sign that you’re doing well, I guess. Interestingly, married men and women who are unfaithful are quieter when making love to their spouse than they are with their lover. Six out of ten women (62%) and 72% of men said they did make more noise in bed when they were cheating. I’m not exactly sure what kissing like a virgin looks or feels like, but I can’t imagine it’s a good thing. That’s pretty damning, [REDACTED]. That’s pretty damning. Have you ever wanted to know how many adulterers are in your town? Well, now you can (there’s literally an answer for everything it seems). According to the annual Infidelity Index, the town of High Wycombe, Buckinghamshire, is the most adulterous in the UK, with over 2% of its population having affairs. Or, depending on where you stand, the plaudits should go to the town of Brentwood in Essex, who are officially the “cleanest” town in the UK. Are we all just innately promiscuous? Maybe, but the married-dating site who commissioned the index have another theory, namely that the economic downturn has left a lot of couples reluctant or financially unable to divorce. The UK’s largest extra-marital affairs dating website IllicitEncounters.com has released figures that suggest that those working in finance are most likely to have an affair then say those working in Government (3%) or in Engineering (6%). Out of the 20 listed occupational fields a staggering 18% of active members have selected Financial Services as their occupation, indicating that bankers are currently the top cheating profession. 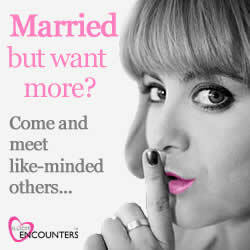 The site is seeing more people from the financial sector seeking an affair, with an 8% increase of members joining IllicitEncounters.com since January this year. Interestingly only 2% of active members are tradesmen opposing the myth that tradesmen have a womanising reputation. It is in face bankers that are laughing all the way to the bank. Bankers are inherently designed to cheat, according to a study published in November last year in the journal Nature by Alain Cohn Ernst Fehr and André Maréchal. The study concluded that bankers are more likely to lie when conditioned into discussing their job beforehand. Spokesperson for IllicitEncounters.com Claire Page says “Bankers can switch at the flip of a coin depending on what situation they find themselves in and they seem to be able to compartmentalise their private and professional life. Those working in the banking sector make the perfect affair candidates. They already know how to keep a secret and the financial security means they can afford the luxury of having an affair. Fraudulent and irresponsible activity has been the trademark of bankers in recent years, with the economic crisis and Libor scandal, so taking this into their personal lives comes as no real surprise. Bankers are not one to miss out on an opportunity!